We do love to make Pinch Pots with the kids! And over the years have amassed quite a collection! From Apple Pinch Pot to Leaf Pinch Pots! 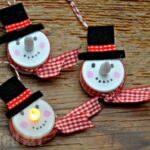 Luckily, pinch pots make GREAT Gifts for Kids To Give for Christmas or all year around. 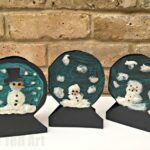 We love working with clay and it is a medium that kids often get to have a chance to have a go at. 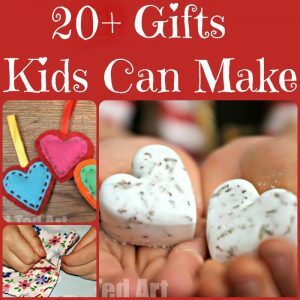 It is much easier to work with than people think – especially when selecting the RIGHT clay project for kids! 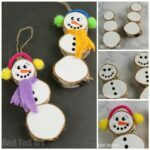 I am so pleased to welcome Bonnie and her kids from Make It Your Own who were inspired to make some super cut SNOWMAN Pinch Pots this Christmas. 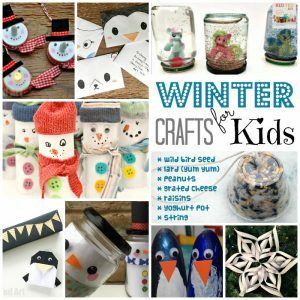 Not only is it a wonderful Christmas Craft for kids, but also WINTER Craft For Kids too! We have been inspired by Red Ted Art‘s various pinch pots (lovely sunflowers, fall leaves, poppies) and wanted to make one of our own. 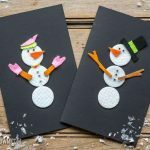 We show you a basic snowman or snow woman model that you could then put some of your personality into it! We are also going to give you two techniques- one for a matte finish and one for a “no-glaze, but looks glazed” look! 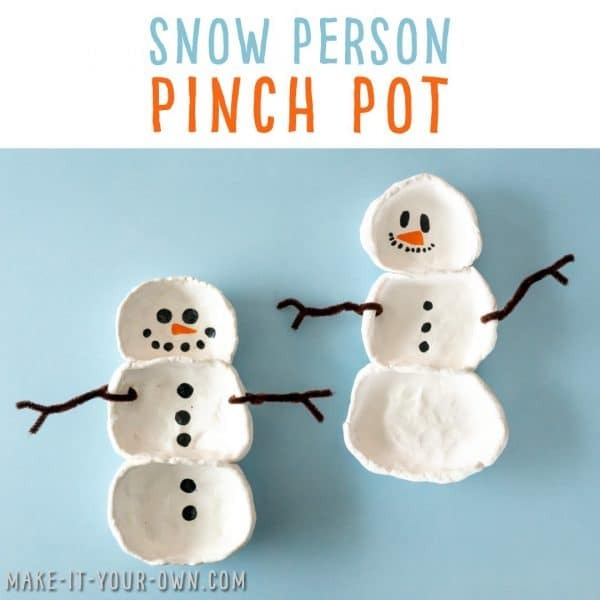 The basic pinch pot shape perfect for snowmen! To make a pinch pot, roll a ball of your clay. Make an indent in the centre and then form the sides to your desired thickness with your fingers by pinching and pushing the clay into place to form a bowl-like shape. 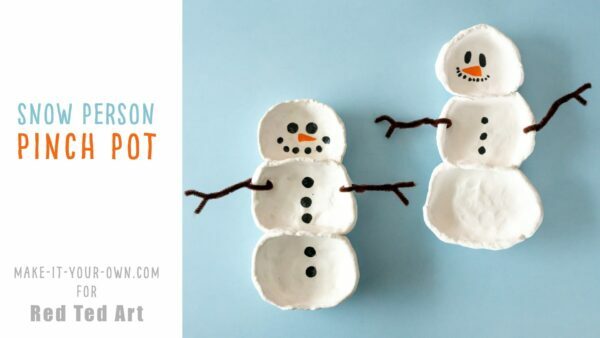 We replicated this process three times with a small, medium and large ball – perfect for a pinch pot snowman! Then joined them together. 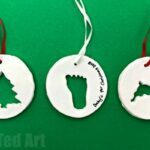 One thing about working with air dry clay is that you don’t want to overwork the clay or work too slowly as it will begin to dry out before you get it to your intended shape. Depending on your brand of clay, you can add water if you would like to delay the drying process or if you find the clay becoming crumbly. However, it is best to do so sparingly. 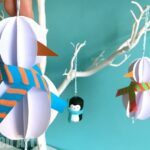 Once you have your basic snowman shape we then carefully took a thin dowel and poked a hole in either side of the middle portion ball of the snowman pinch pot. This will be for you to attach arms if you like. Have an adult help you carefully and slowly transfer your creation to your cooling rack. 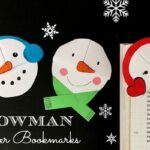 If it seems to be stuck to the work surface, you can slide a knife gently under your snow person. 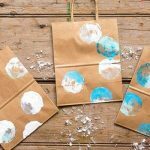 Allow your creation to dry throughly- this may take overnight or a few days, depending on the thickness of the project and the humidity in your area. 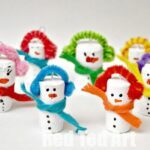 Next add details to your snow person with acrylic paint, allowing those to dry overnight. We dipped the end of various sizes of dowels in acrylic paint to get circular shapes. You could use the eraser on a pencil too. 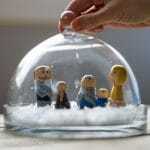 We then finished our snow person with a coat of acrylic gloss (You could use Modge Podge or a similar product too). This gives the project a glazed look. If you like, fold your two chenille stems in half, slide them through the holes, twist them together and create branch-like hands on each end. 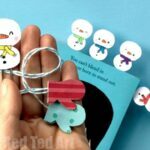 Give your snow person to someone special! Awww so nice to have you!!! 🙂 you guys rock!